Waves - H-SeriesWaves’ Hybrid plugins model the original behavior of diverse analog gear and boost it with the precision and limitless creative possibilities of digital control. The H-Series combines all of Waves’ Hybrid plugins in one package:H-Reve.. Waves: 360° Surround ToolsWhen sound engineers for major motion pictures need a comprehensive set of processors for mixing 5.1 Surround sound, they turn to Waves 360° Surround Tools. Conceived and created especially for Surround production, 360° Surr.. Waves: Abbey Road CollectionDeveloped in association with Abbey Road Studios, Waves’ Abbey Road Collection features a lineup of exquisite plugins that meticulously model the fabled studios’ legendary microphones, consoles, tape machines and signature.. Waves: API CollectionDeveloped in association with Automated Processes Incorporated, The API Collection features four precision processors based on renowned API modules: the 550A 3-Band Equalizer, the 550B 4-Band Equalizer, the 560 Graphic Equalizer,.. 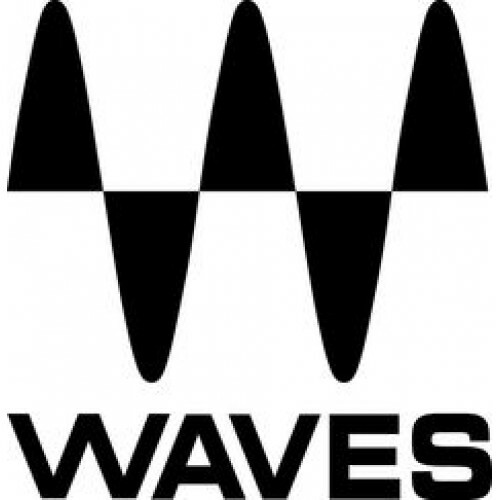 Waves: Broadcast & Production BundleFrom major television networks to Hollywood soundstages, Broadcast & Production is the collection audio professionals turn to when they want to give their projects the finishing touches of power and perfect.. Waves: Chris Lord-Alge Signature SeriesSix application-specific audio plugins, created in collaboration with Grammy®-winning mixing engineer Chris Lord-Alge They call him Lord of the Mix.For over 20 years, Chris Lord-Alge has been the mixing eng.. Waves: CLA Classic CompressorsTrue classics stand the test of time. Chris Lord-Alge is a true classic. Over the course of a career spanning almost three decades, he has worked alongside many artists who are classics in their own right. Gree.. Waves: Dave Audé EMP ToolboxThere's mixing, there's remixing and then there's Dave Audé, the electronic music producer trusted by the world’s most demanding artists to turn their hits into super-hits. Rihanna, Lady Gaga, Beyoncé, Katy Perry, Madonna,.. Waves: Dave Clarke EMP ToolboxDeclared “The Baron of Techno” by legendary BBC Radio presenter John Peel, Dave Clarke has been amongst the top tier of global techno DJs and producers of the past two decades. He is one of the few artists able to comman.. Waves: Diamond BundleA comprehensive collection of audio processing tools, Diamond brings unparalleled signal processing power to your studio, for tracking, mixing, mastering, creative sound design, and audio restoration. Diamond includes all the plu..